My big wins and losses on casino and sports bets! Gambling is always getting bad press about the addiction rather than focusing on the positive aspect of having some fun. Professional gamblers take the game seriously and, in fact, it’s not a ‘game’ to them at all. It’s a business. It’s how they make a living. I was reading the other day how bookmakers are singling out the professional gamblers, the repeat winners, and not allowing them to bet. Why be a bookmaker if you’re not going to take a risk? Kind of dumb and grossly unfair. 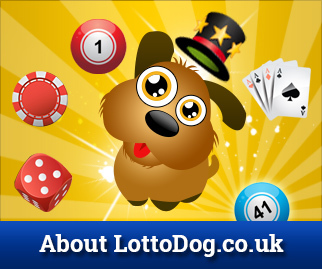 The big jackpots in Lotto have been headline news around the world. I suppose when you have a jackpot of over $1billion, that’s going to be shouted from the rooftops, especially if you’re the winner. How would you cope with that amount of money if you are the sole winner? In my opinion, if it were me, I would want to remain 100% unknown. I can imagine my relatives, some good, some bad, some ordinary J knocking down my door demanding favours. No thanks. You have to quietly go about your business and try not to be too obvious. Leaving the neighbourhood would be my first move. I had a couple of good wins not so long ago, but nowhere near big enough to want to remain anonymous, haha! One of my wins was just £700 and I wanted to share my good fortune with my friends. A few pints at the pub, my shout, of course, followed by a BBQ in the backyard. I supplied the steaks and the beer. Personally, that’s a memorable way to share some of your good fortune. My friends all play the lotteries and some gamble a bit, so maybe my generosity will rub off on them and the favour will be returned one day. I hope so. One of my wins was completely unexpected and it wasn’t actually online, it was an electronic game though at a local casino. It was electronic bingo. There are about 15 chairs in a circle of TV consoles. You slide a fiver into the slot and tap ‘auto’ and a set of numbers are given to you, onto your screen. I was still trying to work out how it all worked during my first game when suddenly all these bells started ringing and lights flashing. The operator or attendant, no idea what you call them, came over and announced me as the lucky winner of the jackpot. On my screen, my winnings were flashing on and off. I was still utterly confused but looked at the amount. £1175! Are you kidding?! I had no idea what had happened, the other players were all clapping, albeit with a few glowering looks thrown in. The guy then handed me a chit for the amount. I stood up and walked over to the cashier and he counted out my winnings and slid them under the glass screen. I smiled, pocketed the money and walked out of the casino. I could almost smell the steak and sausages cooking on my BBQ to celebrate this one!